Growing up in France, author Sharon Stanton was inspired by the essential “Frenchness” of buildings, the charm of farmer’s markets and the undeniable stylishness of her French girlfriends – particularly their beautiful homes. 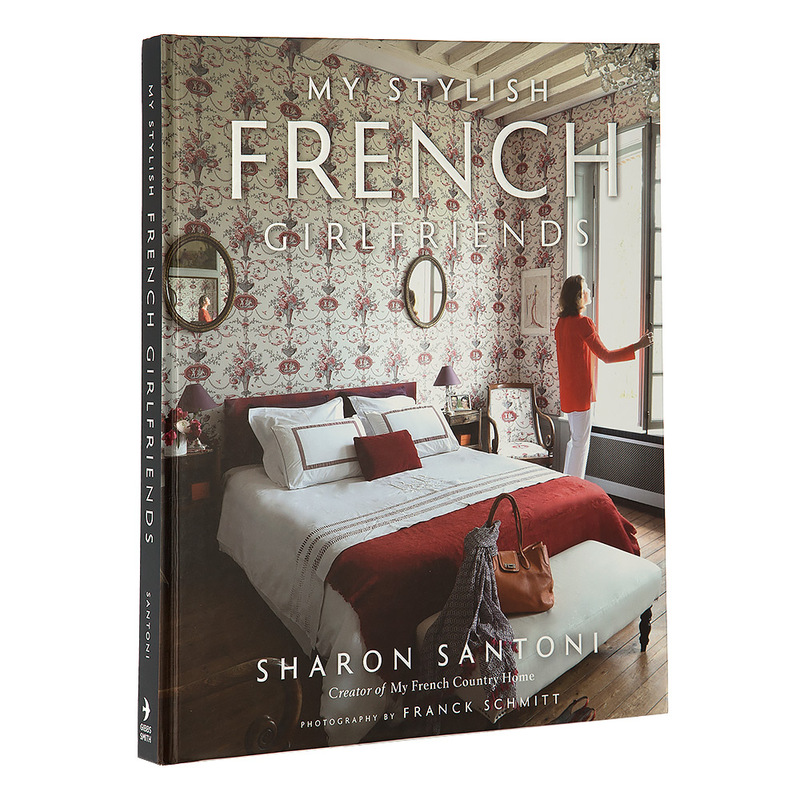 In My French Stylish Girlfriends, Stanton gives readers an exclusive tour of the homes of her French girlfriends. These are inspiring French women who work every day with passion and who love to take care of their families, as well as themselves. Some live in quaint countryside cottages, others in elegant Parisian apartments, while others take up residence inside grand manors. With beautiful, full colour photography throughout by Frank Schmitt, this stunning book contains portraits of these women and their homes, to reveal a side of France tourists never get to see. The overriding theme of Stanton’s girlfriends is their ability to create on a daily basis – whether it’s a painting, sculpture or couture gown – so readers will be captivated as they flip through this stunning book. A visual showcase of the homes of the author’s girlfriends for interior design inspiration. Beautiful, full colour photography throughout by Frank Schmitt. Each photograph is accompanied by a detailed description and handy tips.